I’ve used this blog space in past months to advocate for what I believe to be some of the most effective ways local governments increase public participation within their communities. Inevitably, these programs are in some way tied to getting its citizens to better know one another and to volunteer in their community. It’s my strong belief that a local government will see an increase in governmental participation when it promotes and advocates ways for neighbors to connect with neighbors. It’s also my belief that government participation is cultivated when neighbors care about where they live and care about those who live in their community. I recently came across a program out of Palo Alto, California that aims at connecting neighbors with neighbors, building community, and increasing public participation. 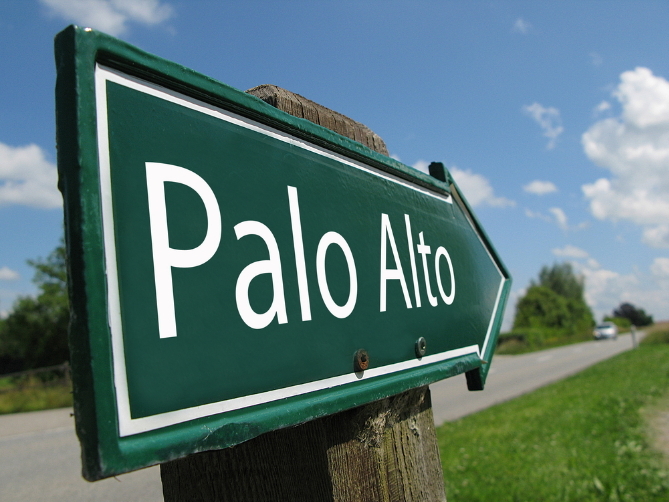 In April 2013, the City of Palo Alto launched a new one-year pilot grant program called Know Your Neighbor. The program was conceived as a desire to help strengthen community by encouraging interaction between different generations and culture. It was developed to improve the quality of life of the neighborhoods in Palo Alto through creative community events and activities. The idea was to encourage and incentivize neighborhoods to create events that build community, develop or renew neighborhood relationships, encourage interaction between generations and cultures, and develop collaborative partnerships between Palo Alto neighborhoods and the City. Enhance neighborhoods pride and identity. Bring both longstanding and new neighbors together in their neighborhoods and seek to incorporate interaction between generations and cultures. Create new and innovative ideas for neighborhoods events. It was also made clear that activities and events had to be completed within six months of receiving notification from the City of grant award. During the pilot run for Know Your Neighbor, the City of Palo Alto received 36 grant applications with 23 ultimately being approved. The grants went on to fund activities such as block parties, emergency preparedness events and unique events like Camp Iris, Palo Alto Yoga Day, Barron Park’s Movie in the Park, College Terrace Community Green Events, and Downtown North Food Truck Friday Nights. The initial Know Your Neighbor pilot program was an unequivocal success. The City, along with the stipulations outlined at the onset of the grant award, required the participants to complete post event surveys. The surveys indicated what the City hoped they would. Communication amongst neighbors increased and email addresses were collected to create email distribution lists. They also indicated that connection with neighborhood pride and identity also increased. In a staff report by the City Manager to the Palo Alto Council, it was noted that one neighborhood event led to the establishment of a neighborhood watch program. It was also noted that the events held through the grant program “brought both longstanding and new neighbors together in their neighborhoods and incorporated interaction between generations and culture” (Update on 2013 Know Your Neighbor). As equally important as the fact that neighbors got to meet and talk to their neighbors, was that Know Your Neighbor also brought neighbors together to discuss important city issues and how to develop a voice through their neighborhood associations. The program got people discussing development issues and how to bring parks to their neighborhoods. The program connected neighbors with neighbors, got communities to care about one another, and helped neighborhoods understand what was happening in City Hall. The pilot program was made official in 2014 as the Palo Alto City Council allocated $25,000 to Know Your Neighbor. Palo Alto (California) Update on 2013 Know Your Neighbor Grant Program and Direction to Continue Pilot for One Year. City Manager (2014). Electronic. In late 2009, I made the decision that my first year after college was going to be spent volunteering. The idea came to me my senior year after reading a biography on Robert Kennedy. My burgeoning admiration for Robert Kennedy, and the causes he fought for, solidified my desire to embark on a career in public service. His later-life commitment to the poor and their communities inspired me towards emulation. After toying with the idea of traveling to a far off country for two years as a Peace Corps Volunteer, I decided to stay stateside and leave the biggest mark I could by becoming an AmeriCorps VISTA. The year was perhaps the most profound of my life, as I volunteered in a rural, remote place in West Virginia. My experience furthered my love of public service and commitment to community. I spent the year not just volunteering hard for my organization, the Pocahontas County Communications Cooperative, but I also created life-long relationships with others who shared similar passions for volunteering. My volunteer experience made me realize that the country was being changed by those who made sacrifices for their community. Four years later, far from the Allegheny Mountains of West Virginia, I find myself in Fort Lauderdale working in City Hall and continuing to be inspired by the volunteer experience. 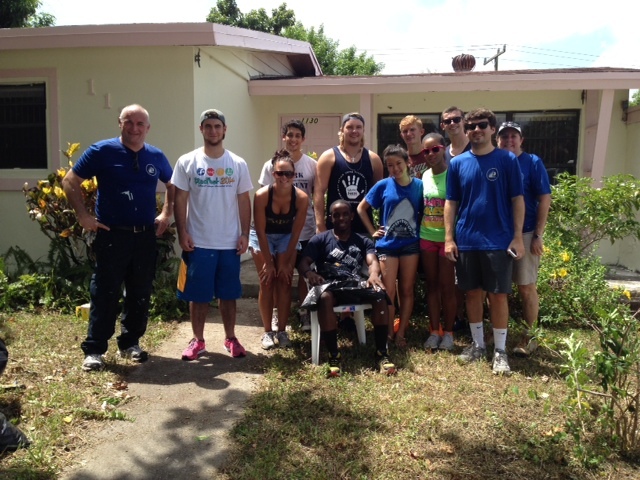 I learned quickly that “Volunteerism is the Spirit of Fort Lauderdale” and that it’s been that way for many years. To help get the most out of that spirit, and to formalize the operations of volunteers across the City, the Neighbor Volunteer Office (NVO) was established in 2013. The office was created to recruit volunteers and establish organized volunteer projects throughout the City. The Fort Lauderdale NVO is led by the Chief Services Officer, Jorg Hruschka. Hruschka oversees the day-to-day work of the NVO and works constantly to help willing participants find volunteer opportunities throughout the City. In the simplest of terms, the NVO was created to put volunteers, who actively want to make a difference, in opportunities that fit their interests and passions. For volunteers who want to participate in public activities that may not know their passion, Hruschka helps them find it. In the NVO’s first year it has increased public participation in the City by developing programs and activities such as: F.L. 55 Club, Adopt-A-Neighbor, Beach Cleanups, Arm Chair Athlete, Adopt-A-Street, and Make a Difference Mentoring. All programs are driven by those who take time out of their day to participate in the civic process by volunteering. The NVO has attracted thousands of eager neighbors from all over the City and placed them in position to serve. On any given weekend you’ll find volunteers participating throughout the City, doing what they love and helping build community. The NVO has become a key component of the drive to make the City more neighbor-centric. Like my time in West Virginia, my time in Fort Lauderdale has showed me how important volunteers are to a community and how comradery develops when volunteers work together. Our volunteers are building community and making a difference. Recently the City of Fort Lauderdale held “Fort Lauderdale Makes a Difference Day” where volunteers from all over the City volunteered in unison on projects they were passionate about. One of the groups that participated during the day was “Westminster Academy,” where students volunteered to remove litter from a neighborhood block adjacent to their school. After their cleanup, the principal of Westminster Academy sent me an email writing that the kids had a great time and that “the students really felt like part of something big.” That’s what volunteering is all about; it’s public participation where the participants feel they are part of something grand. I felt that way when I was a VISTA. Our neighbors are feeling that way thanks to the Neighbor Volunteer Office.